is a professional manufacture of hand trolleys in China and we also have factory in Vietnam, has more than ten years exporting experience. We also can according to client's requirements to design all kinds of non-standards hand trolleys. Q: How long is your delivery time9 A: 25 days after confirm the order as usual. is a manufacturer and exporter specialized in all kinds of wheel barrows, hand trucks, platform hand trucks, tool carts, casters ,rubber wheels, butylinner tubes, We also supply tires with different size and model such as agricultural tires and motorcycle tires. For several years , we continuously comply with the trading policy &ldquo;guest first, credit-standing first, method first,&rdquo; to provide products and service of hig h quality. We sincerely wish to establish good business relationships with all friends in various fields, Please feel welcome to contact us. electric stair climbing cart with lithium battery power helps worker move stuff up-down stairs and save a lot of time Technical features: . 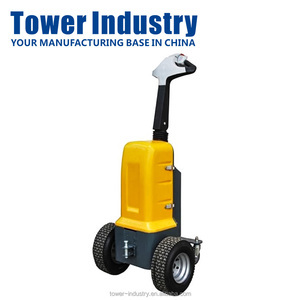 Easy operating, it can climb up and down stairs smoothly and steadily by track. . The Electric stair climber,EVAC chair for emergency rescue is widely used in the logistics industry and save pepole a lot labor. service OEM service is available if you want to purchase: 1. your own design could be produced by us . 3. best service,especially after-sale service 4. welcome to call or e-mial us . Faced with fierece competition market, we will continuously advance and strive for a better result. There are not only multiple models but also reasonable price! We are sure that we can get mutual profits between our cooperations. We never get customer depend on bad quality with cheapest prices . 2. Planning the production schedule and it saves the manual labors, lower the cost. 3. The safety of operation staff can be assured by the roll cages. 7. Professional design, and easy to operate, widely use in the logistics and turnover industry. Lifting Hole The lifting hole are installed on the battery transfer cart for convenient transporting. 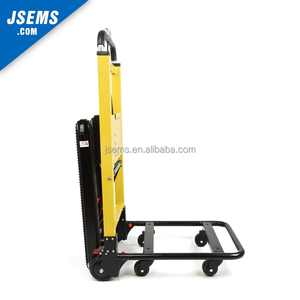 This kinds of transfer cart is battery powered, so only charged fully, can it run freely without limited distance. But it depends on the quantity and products requirement, we will try our best to deliver it as soon as possible. 2.Q:Where is your factory located9 How can I visit there9 A:Our factory is located in Qingdao, Shandong Province, China. 3.Q:What is the material of your products9 A: We could make the products according to your requirement. 5.Q:How does your factory do regarding quality control9 A:"Quality is priority. Dandong Riqian Logistics Equipment Co., Ltd.
6,Which product can be used in cold storage9 ---Mobile rack,wire container and roll cage are all widely used in cold storage. 7,I like your design, but couldn&lsquo;t find the right model from the products list, is custom size available9 ---Yes, we do custom products and projects. 8,I would like to have my own design products and qty is not that big, is it ok9 ---Yes, we can go with your custom design, no matter small or big qty, however, pls understand the cost will be different. Alibaba.com offers 1,846 powered hand cart products. About 24% of these are hand carts & trolleys, 5% are shopping trolleys & carts. A wide variety of powered hand cart options are available to you, such as aluminium, plastic, and chrome plated. You can also choose from shopping, tools, and industrial. As well as from platform, enclosed, and roll container. And whether powered hand cart is four-wheel, or three-wheel. 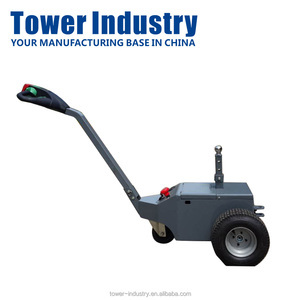 There are 1,853 powered hand cart suppliers, mainly located in Asia. The top supplying countries are China (Mainland), Taiwan, and Vietnam, which supply 99%, 1%, and 1% of powered hand cart respectively. 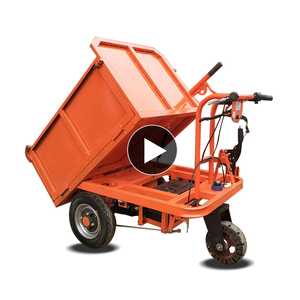 Powered hand cart products are most popular in North America, Domestic Market, and Mid East. You can ensure product safety by selecting from certified suppliers, including 350 with ISO9001, 346 with Other, and 61 with ISO14001 certification.